For the 2019 IIOA Conference, we will have four Keynote Speakers across the three Plenary Sessions. One innovation at the 2019 IIOA Conference will be the introduction of a new format applied to one of the Plenary Sessions. The first Plenary Session on Tuesday will cover two keynote addresses called InspIO Talks with no more than 15 minutes each, high-level, note-free and slide-thin presentations. The Speakers will be required to focus more on key messages and are encouraged to use memorable visual aids. The InspIO Talks are attempting to engage and excite the audience in a similar way to the well-known TED talks. Each talk will be followed by 15 minutes of questions and discussion. Ms Michelle Chivunga Nsanzumuco, University of Surrey (UK). Dr Silke Stapel-Weber, General Director for Statistics at the European Central Bank. It is the honour of the IIOA, the LOC Chair and the SPC Chair to welcome all four guest speakers to the 27th IIOA Conference. More details on their career profiles and presentation themes are provided below. 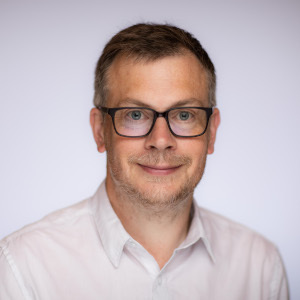 John Barrett is a Professor in Energy and Climate Policy at the Sustainable Research Institute, University of Leeds with over 20 years of experience in energy and climate policy. John’s research interests include energy demand, resource productivity, energy and economy modelling, carbon accounting and exploring low carbon transitions. John has been the Director of a number of large research centres that has employed a range of modelling approaches, including Multi-Regional Input-Output Models to understand how changes in production and consumption can contribute to a low carbon future. John was the Director of the Centre for Industrial Energy, Materials and Products (CIE-MAP – www.ciemap.ac.uk), a GBP 4 million initiative funded by the UK Research Council. The centre explored how using material and products differently could contribute to the UK carbon targets. John is now a Co-Director for the Centre for Research in Energy Demand Solutions (CREDS – www.creds.ac.uk). This GBP 19 million initiative is a new research centre established in 2018 with a vision to make the UK a leader in understanding the changes in energy demand needed for the transition to a secure an affordable, low carbon energy system. John’s research is applied in various arena having been an advisor to a number of UK Government departments, Government Select Committees and agencies such as the Committee on Climate Change. John’s research team are responsible for providing annual headline Government indicators that rely on their UK MRIO model, including an indicator on “Consumption-based GHG emissions” and “Resource Productivity”. Their research findings have provided evidence and influenced many Government publications related to energy demand projections, climate policy and resources and waste strategies. John was also a lead author for the International Panel on Climate Change, Working Group III. Using a wide range of examples, John will demonstrate how the use of MRIO models in the UK have had a real impact on environmental policy. Ranging from changing the way we monitor the impact to setting meaningful carbon targets and exploring the mitigation potential on a range of production and consumption based strategies. 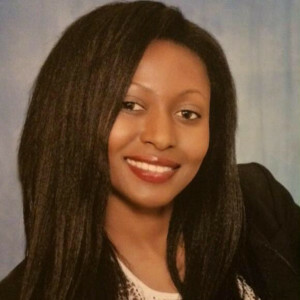 Michelle studied at the University of Surrey obtaining 1st Class Honours Degree in Business / Tourism at the International Tourism and Hospitality School at the University of Surrey. Michelle progressed her higher education studies evaluating housing and economic development models. Michelle started her career working in consultancy in the hotel investment sector and then analysing/influencing UK government policy and designing policy/economic frameworks. Michelle then joined the Corporate Finance Division at the British Bankers Association (now known as UK Finance) leading the development of various financing frameworks and instruments as well as supporting businesses in accessing capital and diversification initiatives. Michelle also analysed the impacts of macro-economic/financial policy developments post the crisis, supporting the financing/banking sector recovery programs and working in partnerships with EU/Global finance leader. Michelle spent time leading the UK representation at global level, well recognised for contributions in a wide range of working groups engaging with institutions such as the European Commission, European Banking Federation, World Bank, HM Treasury and British Chambers of Commerce. Michelle is currently Chair of the International Committee and Senior Regional Advisor (Africa) at the British Blockchain Association (BBA) exploring emerging technologies such as Blockchain technology. In particular, in the context of international development, climate change, trade, enterprise and sustainable development. Often referred to as a young thought leader in the Blockchain space, Michelle is a recognised leader with global experience working with many senior stakeholders, mainly reviewing the impact of emerging technology such as Blockchain for different segments of society and supporting women/business/government and others to educate and foster social and economic development. 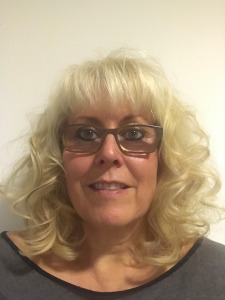 Michelle is also part of the University of Surrey, having joined to evaluate emerging technologies including working on DLT/Blockchain projects within Surrey Business School’s Centre for Digital Economy. Michelle leads in designing Surrey Business School executive education programs around leadership, digital economy and many other educational areas, designing innovative programs to support businesses, governments and other global institutions. Michelle will cover the Blockchain technology. Michelle will tap into the innovative potential of Blockchain for value creation, transparency and trust– An introduction to Blockchain technology and its potential for more sustainable and inclusive global value chains. 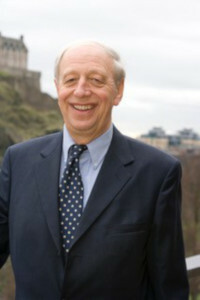 David Simpson graduated from Edinburgh University in 1959 with a First Class Honours Degree in Economics. David gained his Ph.D. in 1963 from Harvard University, where he was the research assistant to Wassily Leontief from 1962 to 1964. With Jinkichi Tsukui, he published “The Fundamental Structure of Input-Output Tables”, (Review of Economics and Statistics 1965). From 1964 to 1965, David was attached to the Statistical Office of the United Nations in New York, where he prepared a manual on the compilation of Input-Output (I-O) Tables for the use of Government Statistical Offices. This was published by the UN in 1966 as "Problems of Input-Output Tables and Analysis". David then moved to the Economic Research Institute in Dublin working on Irish economic statistics, publishing “Some Tests of Stability in Interindustry Coefficients” (Econometrica 1969) with Jim McGilvray. 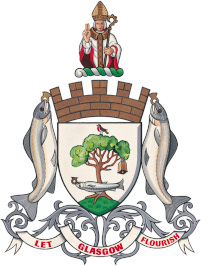 Both David and Jim moved to the University of Strathclyde in Glasgow where, with the help of many others, they began to construct a 78 industry I-O Table of the Scottish economy for the year 1973. Thereafter, the UK Government took over the responsibility of compiling I-O Tables for Scotland in conjunction with its national accounting exercise. In 1988, David was appointed Economic Adviser to Standard Life, at that time Europe’s largest mutual life assurance company. David retired from Standard Life in 2001, and in 2005 became Vice-Chairman of the Water Industry Commission for Scotland, the regulator of the publicly owned water monopoly Scottish Water. David is the author of several books including “Rethinking Economic Behaviour” (2001) as well as articles in periodicals ranging from Scientific American to The Financial Times and The Spectator. David’s latest book, “The Truth About The Economy” will be published in 2020. In his presentation, David will include personal recollections of Wassily Leontief, an account of some significant developments in I-O analysis in the 1960s and the construction of the first ever I-O Tables for Scotland. In addition, David will discuss the challenges and opportunities that lie ahead for today’s young scholars. Silke Stapel-Weber studied Macroeconomics and Statistics in Berlin and Novosibirsk gaining a Master's Degree in Macroeconomics in 1986. In 1989, Silke received her PhD for a study on the “Long-term effects of neglected maintenance and investment on the capital base and productivity of an economy, using hedonic methods”. Eurostat (the Statistical Office of the EU). Silke’s main responsibilities as Director for Macro-Economic Statistics at Eurostat from 2014 to 2019 included National Accounts (including Input-Output Tables and Supply and Use Tables), Prices and Balance of Payments. The responsibilities covered methodological development, regular data production and publication, development of new products, better meeting a wide range of user needs, compliance and quality management. This covered Eurostat as well as international cooperation across, and with each of, the 28 EU Member States and other international organisations. Silke has represented Eurostat in various professional bodies, including the Inter-Agency Group (which involves the UN, IMF, ECB, BIS, World Bank, OECD and the European Commission) and responsibilities in the G-20 context. From the beginning of February 2019, Silke has become the General Director for Statistics at the European Central Bank (ECB). Silke will lead this Directorate-General of the ECB which provides statistical services to the ECB and its banking supervision arm as well as other ECB and European System of Central Banks tasks, and to the European Systemic Risk Board. Silke is also an elected member of the International Statistical Institute and was nominated co-chair of the International Comparison Programme (ICP) Technical Advisory Group at the World Bank (2002-2007). In her presentation, Silke will reflect on how she has used the I-O framework. In particular, in an increasingly globalised world where the I-O framework is key in providing a coherent and wider picture joining the various dots. Silke will describe the uses of I-O when working in East Germany, when helping EU Candidate Countries through to more recent developments like Global Value Chains and Trade in Value Added. Silke will discuss the rapidly growing importance of Input-Output Tables and Supply and Use Tables, for both producers (National Statistical Offices and international organisations) and users of official statistics (for example, a range of policy users).